Low in fat, high in protein, and full of flavor, our Boneless Turkey Breast comes from turkeys humanely raised without antibiotics. Simply defrost, roast in the oven, and enjoy the mouthwatering aroma of turkey filling your home and tempting your taste buds. Serve up the taste of Thanksgiving any time, or just add some fresh flavor to your regular dinner rotation. So many of us love the taste of turkey, but don't want to fuss with a full bird when the craving strikes. 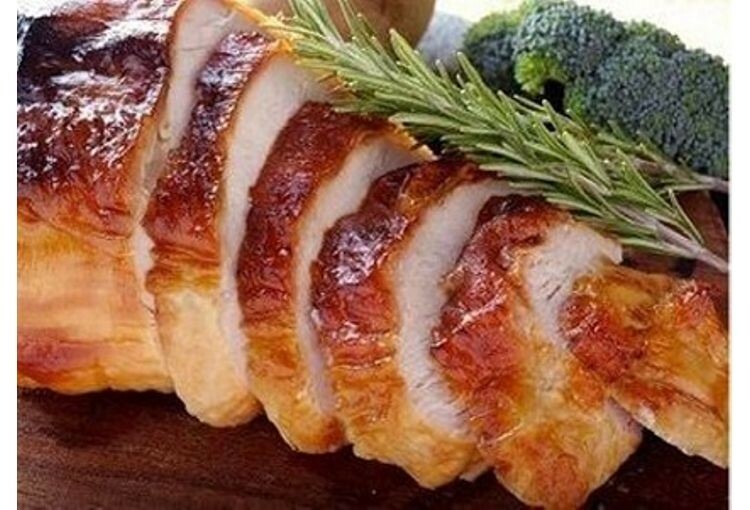 Our moist, boneless turkey breast lets you savor the flavor of the best part of the bird without any of the headache! 4 oz. serving size contains 25 grams of protein! Preparation Instructions: Procedure: Thaw under refrigeration 1. Preheat oven to 325*F 2. Remove roast from packaging 3. Place turkey, skin side up, on a rack in a roasting pan with 1 cup of water. Season as desired. 4. Roast for two hours and check the internal temperature with an instant read thermometer. Insert the thermometer in the thickest part of the roast for the most accurate reading. Remove the turkey when the internal temperature reaches 165*F. Let rest for 15 minutes before carving. Just had the 8 pound boneless breast for thanksgiving dinner. All white meat, no bad spots, every ounce beautiful and delicious. Not one bit went to waste, absolutely fabulous and worth the money. I will do it again! Best ever! On or off the bone! Best flavor and juiciness! Beautiful bird.